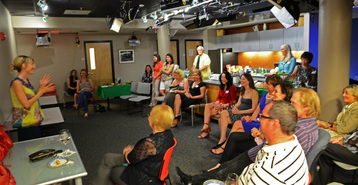 Marie held a party at LexMedia to thank her hosts, guests and crew for their efforts this past season. More than 35 people attended this great event. Way to go Marie! Watch for her shows, “Contributions to Earth”, “Empowering Women” and “The Power of One” playing now on LexMedia.